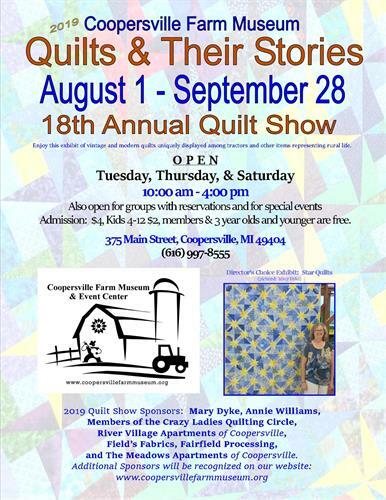 Come out to the Coopersville Farm Museum to kick off the beginning of our 18th annual Quilt & Their Stories Exhibit. Get a first look at all of the beautiful quilts that everyone worked really hard on making! Tickets are $5.00 and there will be silent auction tables as well as door prizes for everyone who comes out!